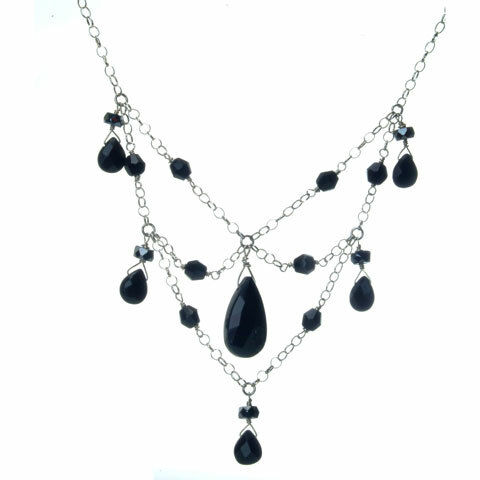 Black beads are hand wire wrapped to gently dangle from layered sterling chain . For every day or night, you will stand out with this striking necklace. Sterling clasp is adjustable.